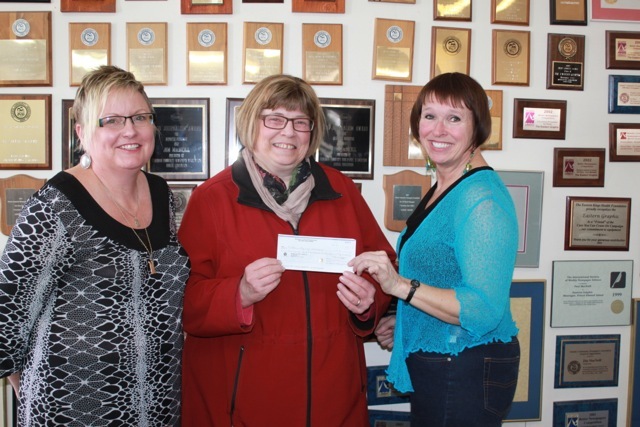 Anne MacPhee of the Eastern Kings Hospice Association picks up a check for $4969.68 from Montague Rotary Club members, Jan MacNeill and Sharon Riley. The check represents the charity proceeds from the week #154, February 9th Rotary Gold Mine Draw. The Rotary Gold Mine Draw has awarded over $910,000 to more than a dozen charities in Eastern PEI since it began in March of 2012.